I rarely get the opportunity to read as much as I would like to. I have a stack of books and articles waiting to be read both in my office and piled beside the bed. However technology offers easy access to talking books and podcasts that I listen to as I drive. Many video presentations are made to be heard rather than watched and I often listen to these through the bluetooth connection of my car stereo. 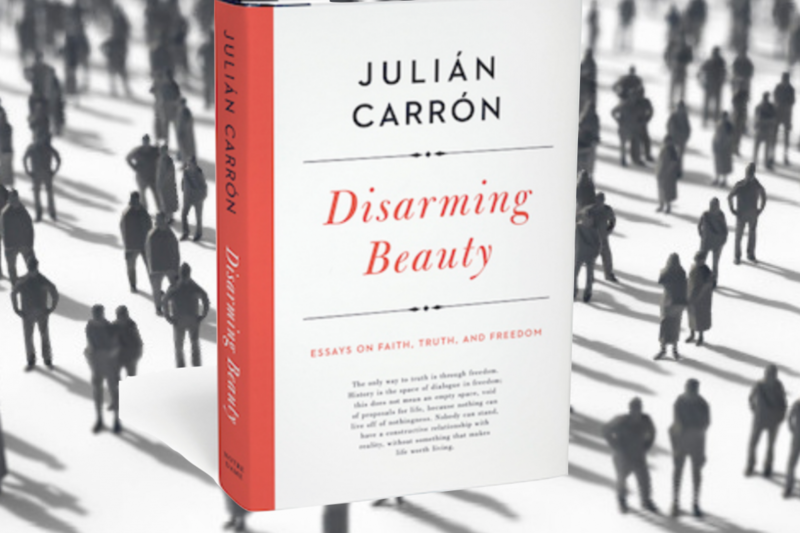 Yesterday as I drove to a meeting I listened to the first USA presentation of Julian Carron’s recent publication Disarming Beauty. This collection of essays is an inspiring work, re-presenting the full beauty of relationship with Jesus Christ as the only adequate response to the human needs that occupy us. Fr. Carron accepts that too often we have reduced the beauty of Christian faith to moralism, legalism, structures and programs, promoting what is secondary as if it were primary. This book and the book-presentations are guaranteed to engage the intellect and touch the heart. The first Live-stream went up yesterday from Notre Dame, and the Houston and New York events will be uploaded in the next couple of days.